Rock of Ages was one part unpredictable and all parts spectacular. You don’t have to be a fan of the eighties to love it, but it wouldn’t hurt. The story follows two young, fame-seeking kids trying to live out their dream on the strip. Drew the singer and Sherrie the actress meet at The Bourbon Room, a place where they both work while trying to realize their dream. There is the usual falling in love and miscommunication that leads to the ultimate breaking apart, followed closely by the realization that they were both wrong. However, the way Rock of Ages presented it is so fresh and fun that it’s easy to overlook this formulaic love story and enjoy the show. Lonny – the narrator and part owner of The Bourbon Room – is quite hilarious. Regina, a protestor who is trying to save the strip from being torn down by a pair of German developers, also helps to bring a comedic element to the show. Her and Hans were probably my second favourites after Lonny. The music was great! I loved the way they sung the 80s rock songs, it was edgy, but also a bit classical. The music wasn’t overwhelming, nor did it feel forced. Everyone in the cast did a great job on the vocals and I was blown away by Drew’s voice. I absolutely loved that the band was on the stage and at some points participating in the act itself. The set was pretty simple, nothing splashy; but I loved the touch they added with the 80s Las Vegas strip memorabilia that hung on the walls. The ending was the best, make sure you get an orchestra seat because you don’t want to miss the glittering confetti! 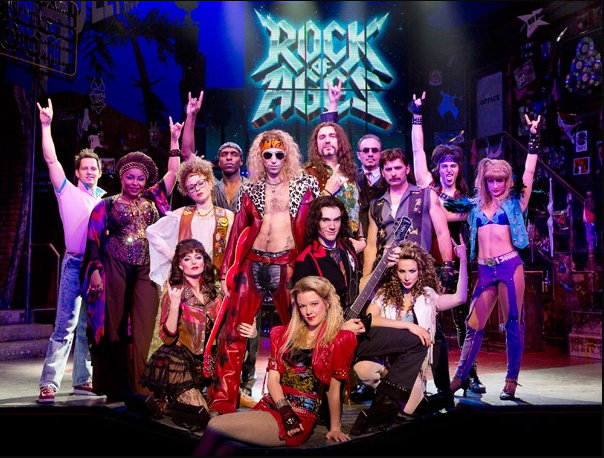 Rock of Ages is definitely Broadway’s biggest rock party. Check it out while you still can! Is it the policemen on horses? 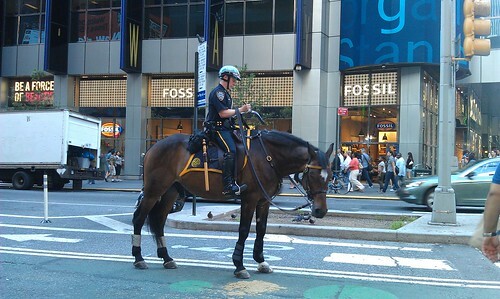 Or the generally friendly New York Police who aren’t shy to pose with tourists? 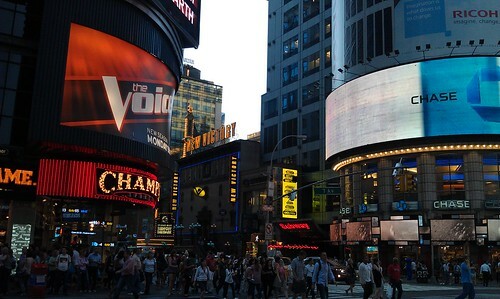 Is it the bright lights and the flashy ads that all vie for your attention, each one trying to outshine the other? 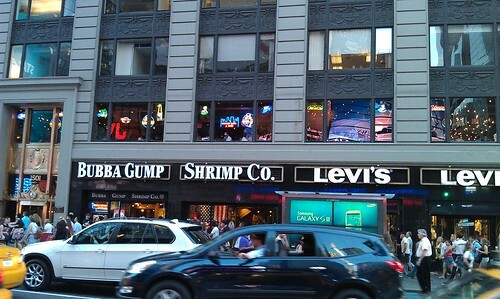 Or is it the themed food places with their overpriced, yet enticing food and drinks? Perhaps it’s the excitement, the talent and the wonder of a spectacular show. I’m not sure what the reason is, or why people flock there, but my guess is that it has to do with one, or all (and then some) of the above. It’s a place that can be exciting and intimidating. A hub of activity, a place for memories, a place built on dreams. 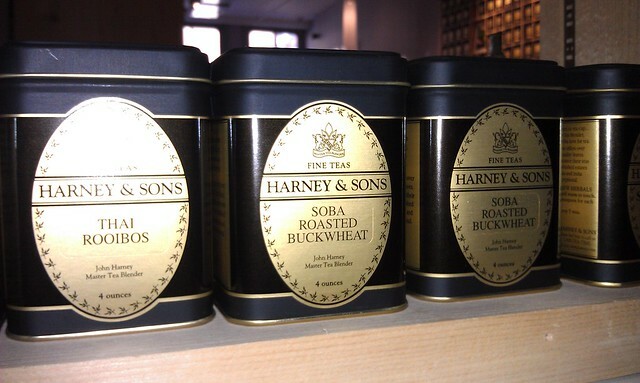 On Broome Street, just a few blocks away from my office, is a little tea shop called Harney and Son. 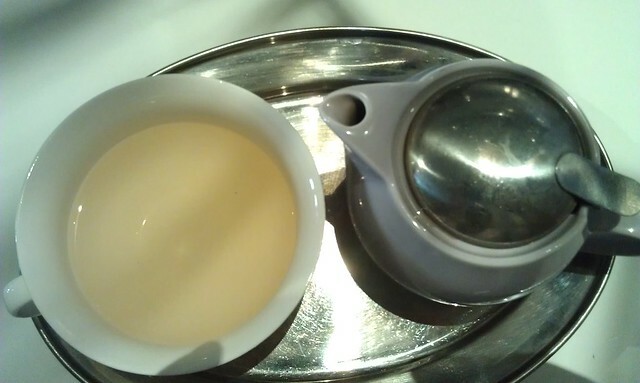 They have a large collection of teas – in bags and loose leaf – for any type of tea lover. The front of the shop has tinned teas and a little tea tasting area where you can taste the teas that they have brewing, or shop for tea accessories. 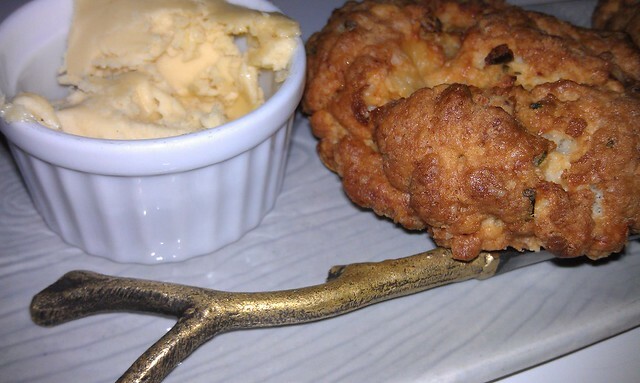 Or, you can go to the back and sit for some tea and scones – and other treats. They have these large cups, and I usually get a small teapot which fills the cup about two times. The only downside to this is that you have to drink your tea quickly if you like it hot (like I do), or you have to pour it out a little at a time. Their scones are pretty good, I’d count it up there in the “top 3 scones that I’ve had at tea shops in New York City”, and they come in pairs so you can share it with a friend. 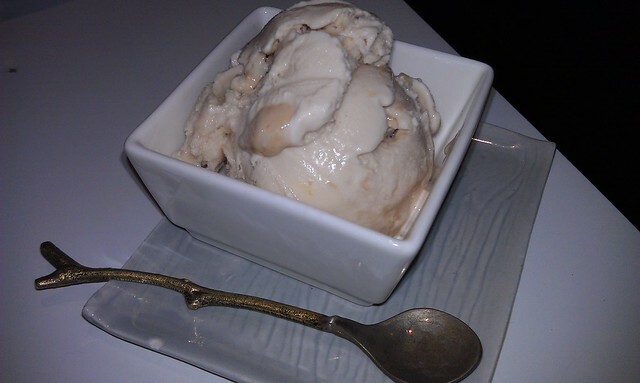 I haven’t tried their ice cream yet, but I have it on good authority that it’s really good, especially the chai ice cream. My very first Broadway experience was The Phantom of the Opera. 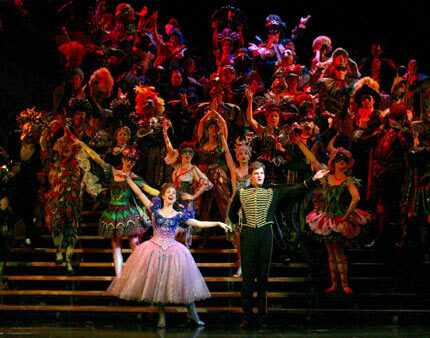 Based on a novel by Gaston Leroux (a French writer), The Phantom of the Opera was adapted for the theater by Andrew Lloyd Webber. The one thing that had been burned into my memory about Phantom was the Masquerade scene and I’ve always dreamed about a masquerade after that. Not a costume party, but a ball with elaborate masks and bright colours and it was just as I remembered it when I saw it again this month. Next to the songs, the costumes were my favourite part of the play; they were all so fancy and beautiful and just as spectacular as the play itself. The story is always such a moving piece, a disfigured genuis living in the tunnels beneath the Opera House. A person who has never been loved before, falling for a beautiful young chorus girl and doesn’t know exactly how to express that feeling. And Christine, the beautiful young chorus girl, infatuated with her Angel of Music until she finds out that he’s the disfigured genius who lives in the tunnels beneath the Opera House. As the madness of the phantom increases with the body count, Christine finds herself protected by her childhood friend, Raoul, and a great and classical love story is born. One of the charming things about this play is, while it has an air of seriousness about it, it does not lack humour; the diva-ish doings of Carlotta always brought a smile to my face and the comedic timing of Ubaldo left me in gales of laughter. The Phantom of the Opera is most definitely a classic show, with its shows within a show, its wonderful costumes and its amazing score. If you find yourself in Time Square, don’t miss out on this gem! ** photo via The Phantom NY site. 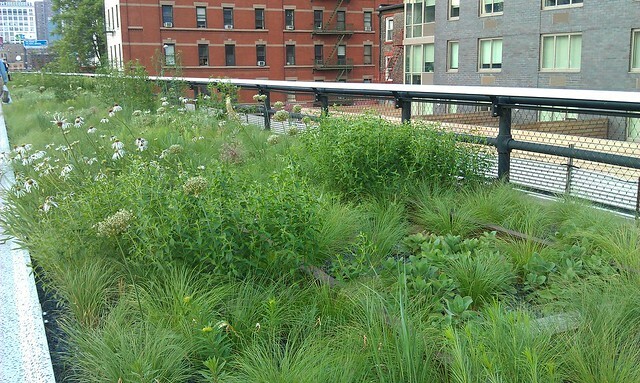 Hidden away in the concret jungle of Manhattan, to the west, lies the High Line Park. Converted from old train tracks, the High Line runs from Gansevoort Street to West 34th Street, between 10th & 11th Avenues. I’m not sure what the plants are called, but they evoked in me a sense of wild and free. In a city where plants are practically non-existant it’s like an oasis, tucked away, waiting to be discovered. 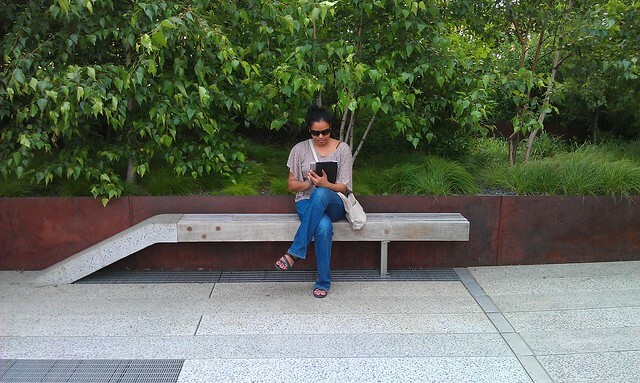 There were many places for sitting and reading, or even relaxing during a lunch break. We a passed a very small lawn where quite a number of people were having picnics and sitting on blankets. There was also a contemporary dance exhibit going on when we were passing through. 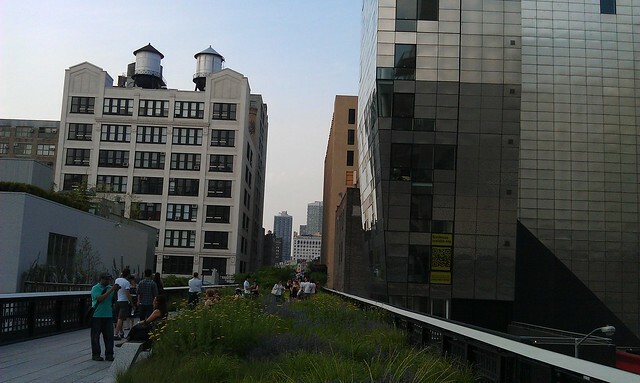 There are quite a few events going on weekly at The High Line, it seems a great place for family fun. If you want to try rush tickets, check the website for details. The show was definitely worth getting up before the sun! The set was very simple, just a few coloured rises that moved on and off stage when necessary, the backdrops, office furniture and box designed to look like a lift. Very simple, but very well done. The costumes were mostly business suits and dresses. I absolutely LOVED the colours, I would wear some of those styles to work! For some reason the costumes reminded me of Annie (the movie, I haven’t seen the Broadway show). The story follows a young and ambitious J. Pierrepont Finch (Daniel Radcliffe), a window washer at the beginning of the story, and his climb up the corporate ladder. As J. Pierrepont Finch climbs the corporate ladder, a secretary Rosemary Pilkington, played by Rose Hemingway, has set her eyes on making him her husband. Meanwhile Biggley’s nephew, Bud Frump, played by Christopher J. Hanke, is trying to blackmail his uncle into giving him a higher position. Daniel Radcliffe did a great job! It took me until Act 2 to remember that he English and was using an American accent, he blended in so well! Also, I was pleasantly surprised by his singing and dancing skills. I can see Daniel going a very long way with his acting career. John Larroquette who played J.B. Biggley, the head of World Wide Wickets, was one of my favourites in the show. His character was quite hilarious and probably the one that provided the most laughs for me. I also loved Christopher Hanke, he did a great job in portraying Bud Frump and adding more laughs to the show. I listened to the songs before the show (on Spotify) and didn’t think I would get the soundtrack , but, after seeing the show, I think I’m going to getting it! Some of my favourite songs were Coffee Break (hilarious and great choreography), Paris Original (such a funny song!) and Brotherhood of Man – I think Daniel’s dancing skills shone through on this one, see video below from the Tony Awards. Great show, wonderful production. I had a fabulous time!